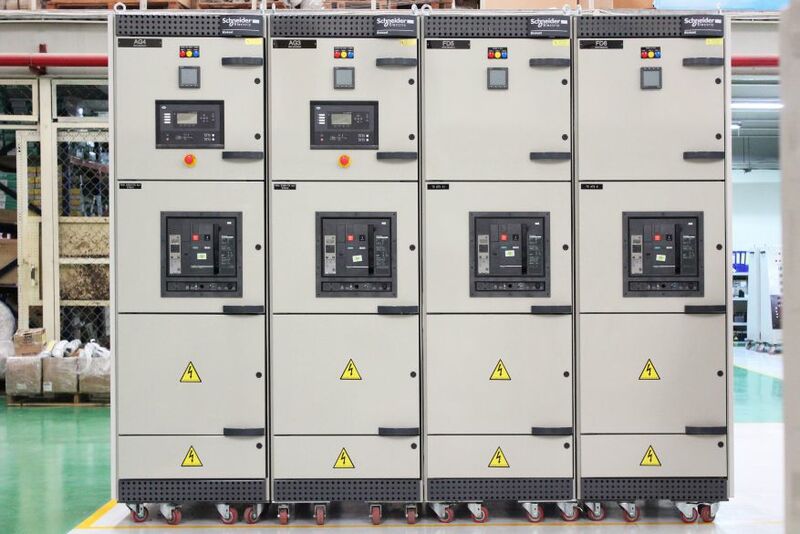 A motor control center (MCC) is a type of electrical switchboard, which contains one or more motor starter sections. The advantage of utilizing a QUANPHAM switchboard solution for Motor starter sections is, that one can combine the solution with other distributions switchboards. Motor control centers differ from other types of switchboards as they often contains more extensive communication equipment regarding start/stop of engines as well as signals concerning the function of the engines and motors. Motor control center solutions are often the preferred choice, when the power effect need exceeds 1000 A and several motors and engines are to be controlled. A MCC solution is applicable in various industries which often have widely different needs. With a MCC switchboard from QUANPHAM, you are guaranteed the ability to deliver in relation to all individual needs and requirements. A QUANPHAM modular solution provides you a high quality switchboard dimensioned and constructed to real conditions. The possibility of expensive downtime is thus reduced to a minimum. All switchboard enclosure solutions from QUANPHAM designed and constructed with motor starter sections are constructed in the modular system. This provides the greatest possible extent of freedom in relation to height, width and depth of the solution and a free choice of electrical components. No other enclosure system of power provides the same freedom of being able to meet changing needs. If needs change simply reconfigure or extend your current solution. Or combine it with other QUANPHAM solutions. The switchboard builder has the possibility to adapt the size of the sections individually and construct individual motor starter sections up to FORM 4. All solutions from QUANPHAM have gone through extensive and throughout testing. The tests are carried out by several of the most recoqnized test laboratories. Operating staff is in safe hands as the modular system provides a high safety for the personnel working on the switchboard. A solution from QUANPHAM, including MCC, is IEC/EN 61439 verified. Furthermore, the busbar systems are type-tested up to 6300 A. • Construction with individual motor starter sections up to FORM 4. • Possibility to adapt the size of the sections individually. • Construction in fully draw out (Multi Drawer), Plug-in or fixed version. • Completely free choice of electrical components. • Free choice regarding height, width and depth. • Easy to change and extend. • Possibility of access from the front and rear side. • Connection from the top, the bottom or the side of the panel. 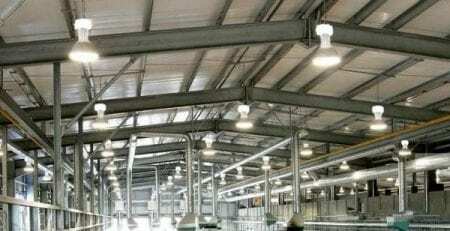 • Type-tested busbar systems up to 6300 amps.